It’s Halloween and there’s plenty of scary stuff in Denver to get you in the trick-or-treat mood. Most people know about the Stanley Hotel, which served as the model for the hotel in Stephen King’s book The Shining. 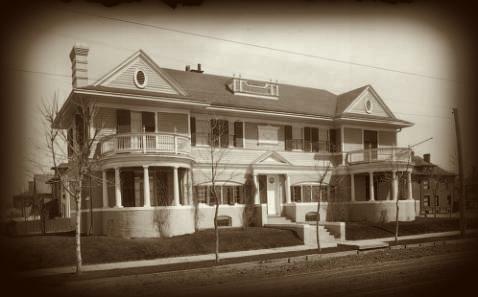 But another Denver location inspired the 1980s movie, the Changeling. The first time I heard the story of Russell Hunter’s experiences in the house the hairs on my arms actually stood up. Whether you think Hunter’s experiences are real or not, the story is pretty creepy. It’s a classic haunted house story, complete with bumps in the night, bulging walls, hidden passages, and greedy relatives. The Denver Public Library website has the complete Russell Hunter story, which you can read by clicking here.